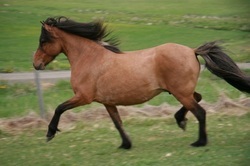 Krít frá Miðhjáleigu is an high class competition mare. She has 9.25 for B-Class in finals and 8.78 for tölt in finals. Daughter of Hrymur frá Hofi (8.20) and Dröfn frá Stað. 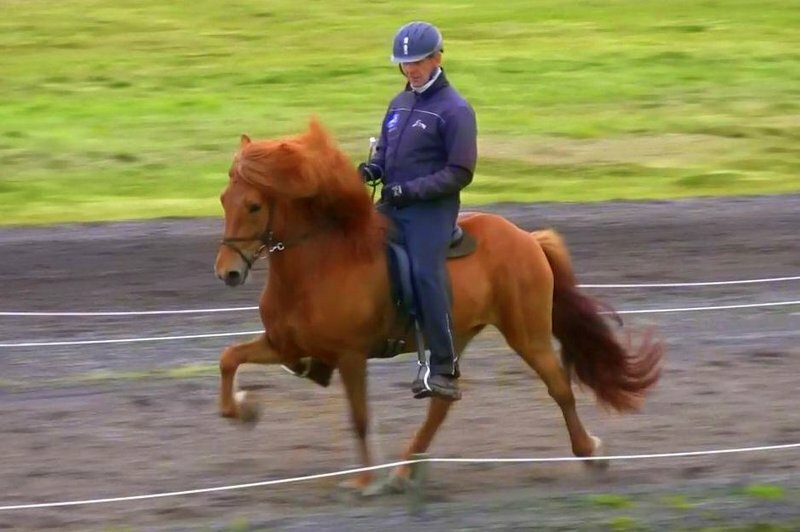 Dröfn frá Stað is a four gaited mare that has first price for Riding Abilities. Daughter of Orion frá Litla-Bergi (8.09) and Þrá frá Þingnesi. 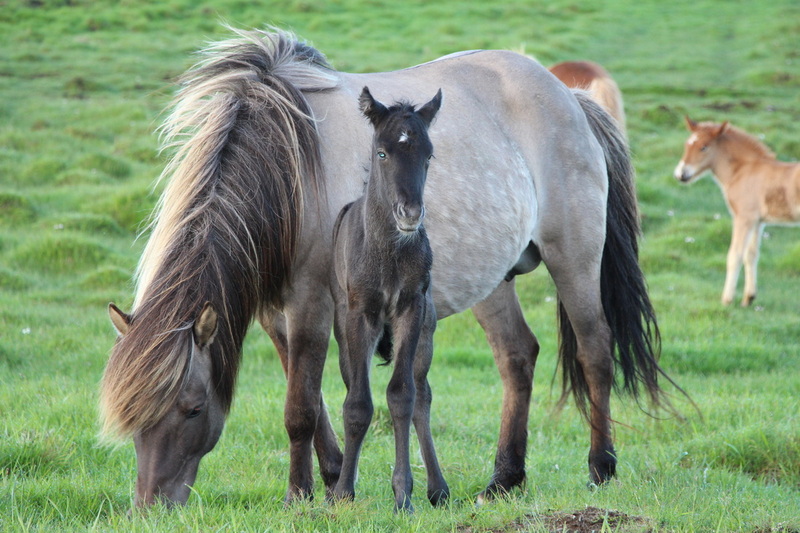 Dröfn is the mother of Krít frá Miðhjáleigu. Berglind frá Húsavík (8.20). 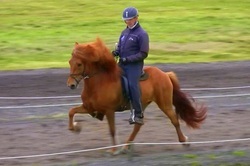 First price five gaited competition mare with 8.35 for RA. Daughter of Hrymur frá Hofi (8.20) and Bjarklind frá Húsavík (8.11). Evelyn frá Litla Garði (8.19). First price high class competition four gaited mare with 8.35 for Conformation. 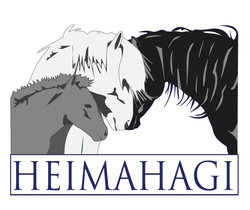 Daughter of Hrymur frá Hofi (8.20) and Elva frá Árgerði. 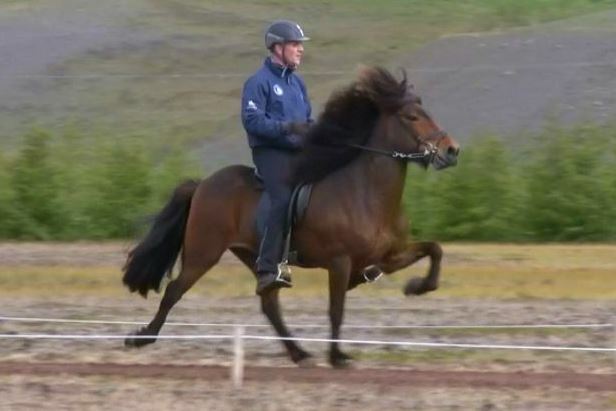 Gjöll frá Skíðbakka III (8.24). 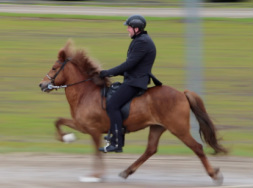 First price high class competition five gaited mare with 8.53 for RA. Daughter of Kvistur frá Ólafsvöllum (8.26) and Gígja frá Skíðbakka III. 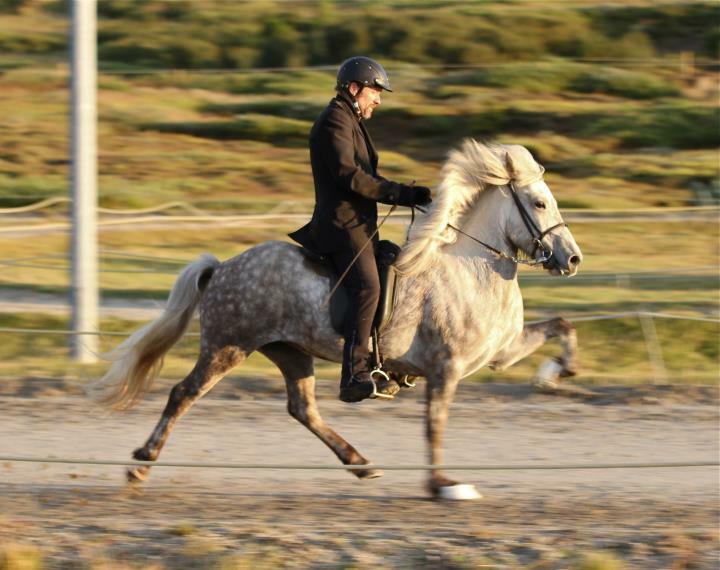 Hrauney frá Húsavík is very good five gaited competition mare. 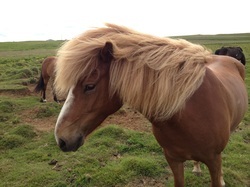 Daughter of Aron frá Strandarhöfði (8.54) and Hrauna frá Húsavík (8.44). Sólný frá Hemlu II (7.97). 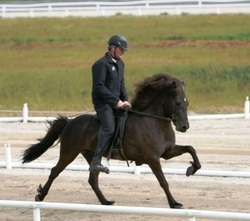 Powerful five gaited mare with tölt as her main gait. Daughter of Elvis frá Fíflholti (8.31) and Sveiflu frá Úlfsstöðum. Sveifla frá Geirmundar-stöðum is a five gated mare with high foot-lift, excellent slow tölt and very good spirit. Daughter of Kokteill frá Geirmund-arstöðum and Heiða frá Hafsteinsstöðum. Mánadís frá Nýjabæ is an old breeding mare, daughter of Ófeigur frá Flugumýri and Fiðla frá Nýjabæ. Ófeigur was honored for his offsprings at Landsmót in Vind-heimamelar 1990. Hríma frá Svalbarðseyri is daughter of Hrymur frá Hofi (8.20) and Hreyfing frá Svalbarðseyri. 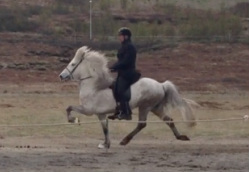 Brana frá Reykjavík is a good mare with tölt as her main gait. 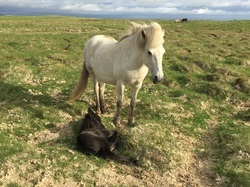 She's a daughter of Kolskeggur frá Kjarnholtum I (8.29) and Blika frá Syðri-Skörðugili. Kolskeggur frá Kjarnholtum I (8.29) and Blika frá Syðri-Skörðugili. 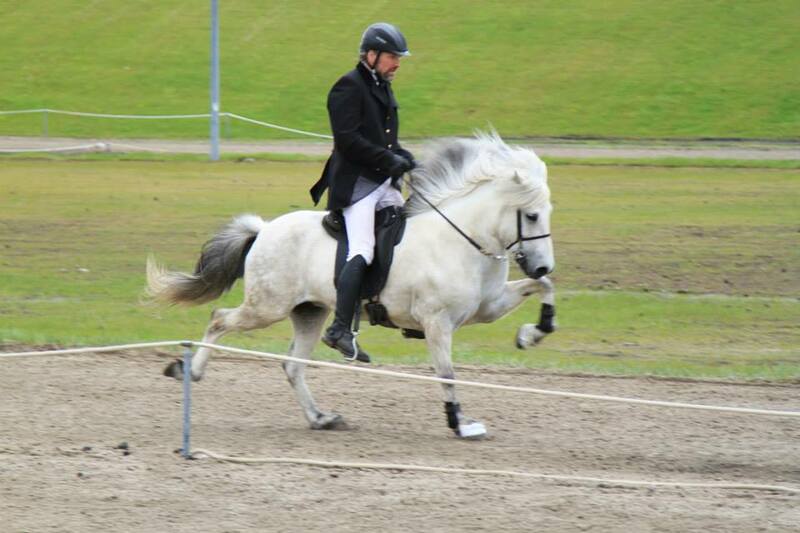 Alvara frá Hömluholti Very good four gaited competition mare, with good tölt, good move-ment and forward willing.